Couldn’t find a place to celebrate birthday? Birthday Dining App solve the problem for you! Having a hard time planning for a birthday celebration? 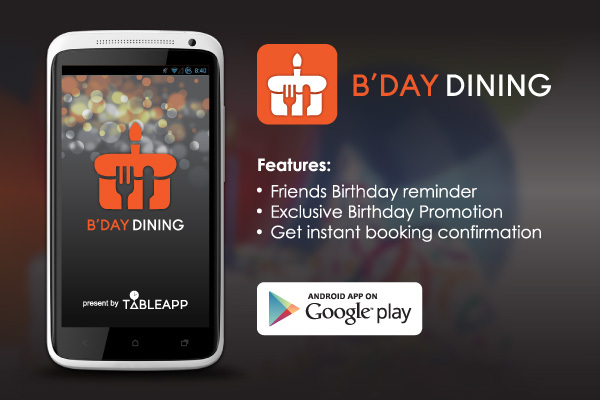 you can now use your android phone to find which restaurant to dine in which offers exclusive birthday deals for you! No more worries of finding or researching on which restaurant offer better deals, with ourBirthday Dining App, you will be able to find out birthday offers available by restaurants! All you need to do is just selecting your preferred restaurant and make a reservation to enjoy the birthday deals!